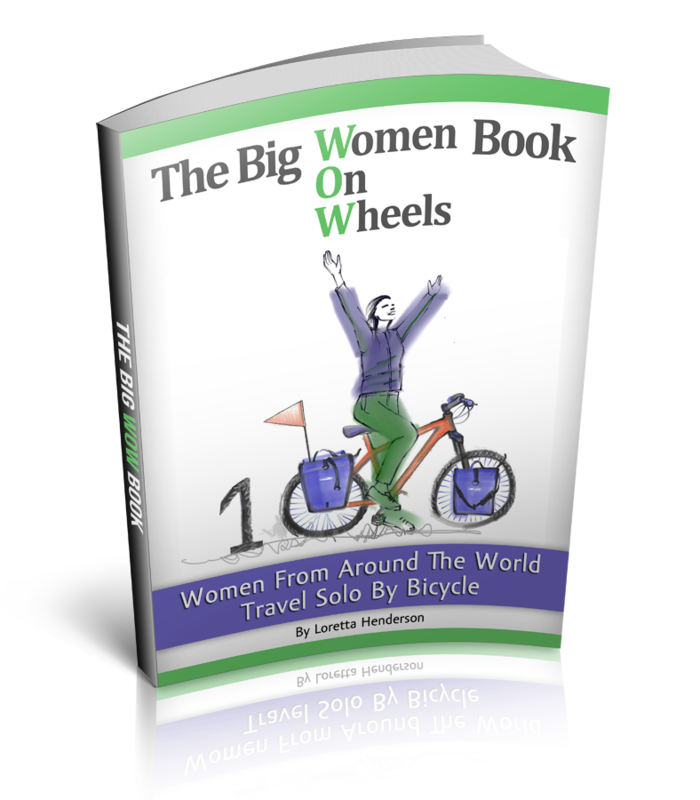 Solo Female Cycling Around the World: Will I ever meet THE ONE? Yesterday, while pedaling, as I was pondering the tattles and tales of twenty dollar bills, some government road workers stopped their white pick-up truck to say hello, a pleasant change from the white trucks that slow down and drive next to me just looking. This friendly driver’s reflexive orange vests draped over his belly. His elbow protruded from the open window. 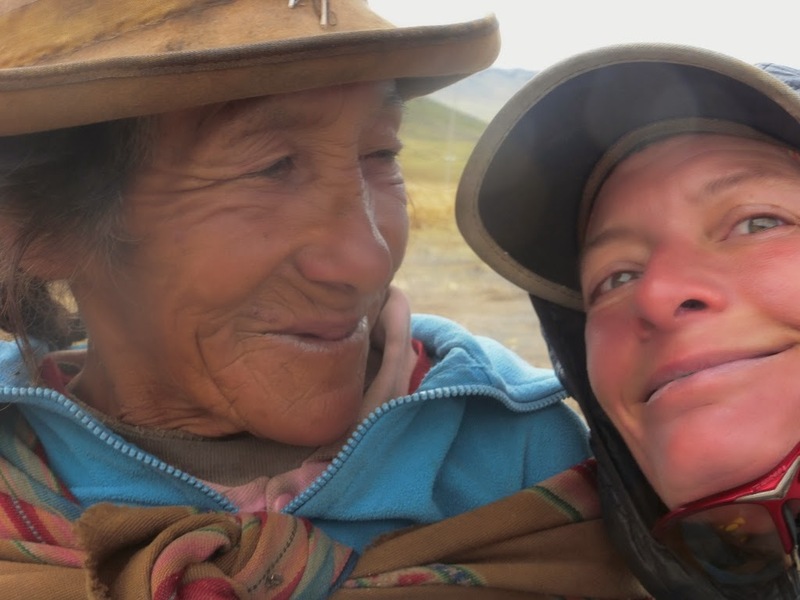 “hola” I said hoarsely, my throat was dry from not talking to anyone for a few days and from the altitude 15700-14100 feet (4800-4300 meters). Grateful to have someone to say hello to I smiled. “Solita?” The man said, a shiny wedding band was secured around his finger, his hand firmly gripping the steering wheel. His black leather boot was pressed firmly on the brake pedal holding the truck back on the steep mountain road between Cusco and Nazca, Peru. “Yes, solita” I said, trying not to roll my eyes or bust out in hysterical laughter at the mundane boredom. Like an x-mas tune in December, the incessant drawl of a repetitive conversation begins again. A never ending valentine show of twosomes unveils before my eyes as I pedal along, funny faced alpacas, llamas and rare Peruvian vacuna line the emerald green valley, all of whom are paired up, some mating for the moment, others for life. 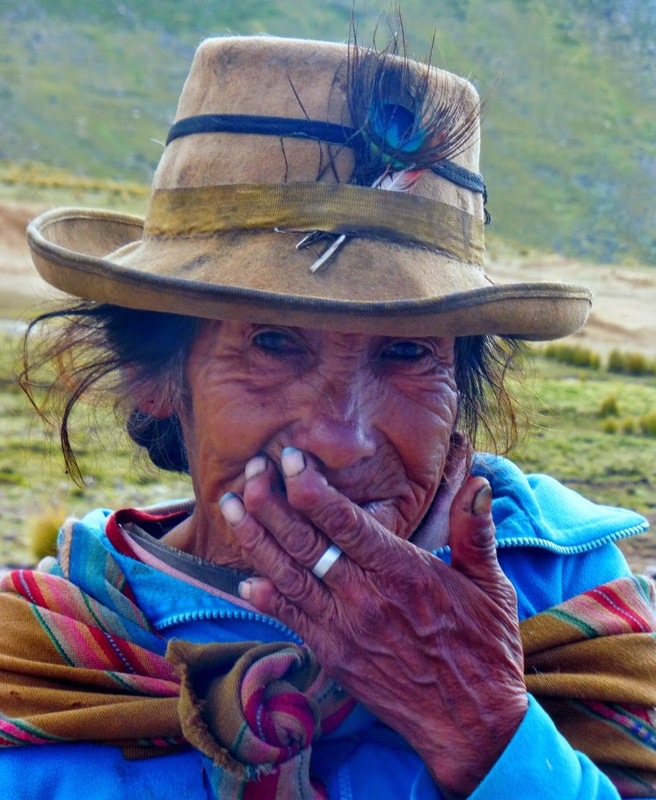 A Quechua elderly woman, the shadows hidden within her wrinkles reflect the frigid morning sun of the high altitude Peruvian Andes. Her head tilts in greeting, her smile grows as she sees me approach. “Esta Frio? (Are you cold)” The elderly woman questions, her weathered well used fingers hold a piece of firewood that she has collected from the road side. Her three layered skirts dangle over her blue wooly leggings. Her ankles are covered in knitted alpaca fur leg warmers. She places the firewood on the ground and covers her shy grin with her strong coarse fingers. “Hola, ques estes yamos? ( Hello, What is your name? )” She asks. Her piercing kind eyes sparkle with years of wilderness wisdom. They are clearer then the nearby cascading stream. You are truly a conduit for the divine! Miss ya. Fantastic photos and thoughtful posts. I really enjoy these. I found a way to make people think when I am asked, don't you get lonely travelling by cycling by yourself? I smile and calmly say very slowly. Lonely only exist in the mind, if you believe you are lonely then you will be lonely, you are only lonely because you don't know what it means to be your own best friend and when you become your own best friend and find the peace with in yourself, not feeling that peace all the time is disrespect to yourself. Amanda, a South African tour!